New Delhi: The inspection reports of hospitals on the basis of which DNB/FNB seats are granted to hospitals by the National Board of Examinations(NBE), is not meant to be available for public scrutiny, a recent RTI reply has revealed. A reply to this effect was given by the NBE, states a recent report in Times of India . 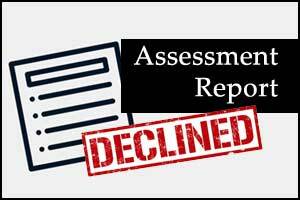 It is reported that information seeking the records of the inspection reports was asked sought through an RTI. However, the National Board of Examinations, which awards around 7000 PG seats, through these courses refused to reveal this information. The refusal came on the grounds that the said information was available with the NBE in a “fiduciary capacity” and could not be divulged without consent from the hospitals. Moreover, it added that it had asked the hospitals if information pertaining to them could be given to a third party but the hospitals had refused reports TOI. The move is in sharp contrast, with the policy followed by the Medical Council of India, its parallel body for awarding PG courses, whose inspection reports are available under public domain, through its official website. The NBE officials when asked for a reason for not divulging the details told TOI that its assessment reports included the hospital’s employment contracts with faculty members, income tax details of the faculty along with pan number, which was confidential and therefore, could not be made public. Explaining the need for confidentiality of the information, NBE added that certain information including the relevant assessment documents, list of assessors and other details would be put up on the new website, when it becomes operational by the end of June. For the Purpose of approval of courses, both MCI and NBE visit the respective institutions to asses the infrastructure, faculty strength, patient load etc, and if satisfied, then grant the approval to the institution to offer the courses. In case of NBE, the organisation grants accreditation for a period of five years, which is reviewed annually. Trying to hide facts reveal more than what they can hide. Those who probed and those who are being probed are equally guilty. After all these are not defense secrets pertaining to the security of the country. A huge source of income…friends with benefits. PS: despite the fact that general public is being treated at all these hospitals, RTI or no RTI, who cares. These courses are run for cheap labor initiative. MCI based medical college are no better…..